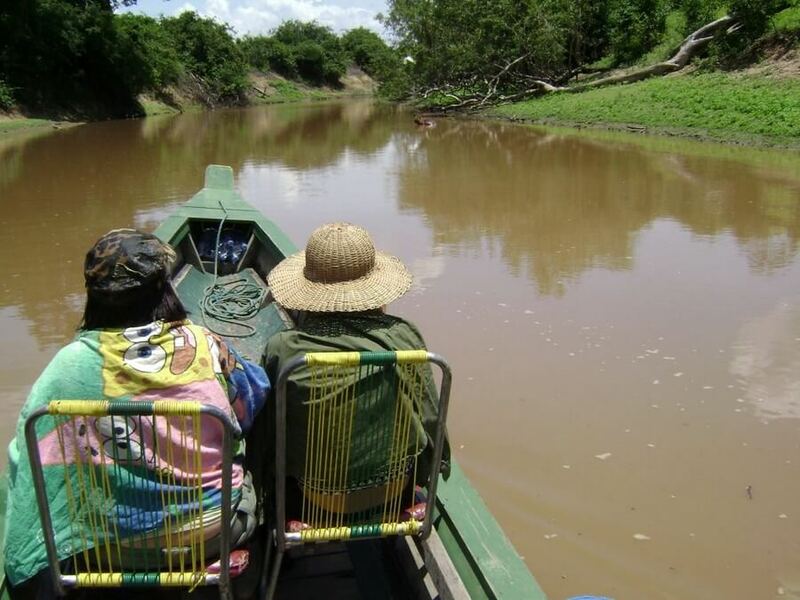 This adventures tour through Bolivia consists mainly of 3 parts: 1- Bike down to the Amazon Rainforest; 2- Hike through the Amazon Jungle and 3- Black and white highlights! Travel through the scenic views in the surroundings of Sorata and bike from the snowcapped mountains into the Amazon Jungle! Continue further down the river by Canoe and then challenge yourself and the jungle spirits by hiking even deeper into the Amazon Rainforest. 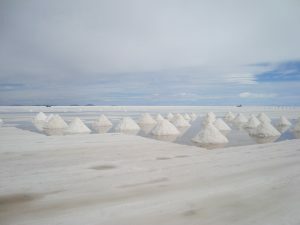 After this unforgettable experience you will fly out into Sucre to celebrate your accomplishment and relax before entering the pitch black mines of Potosi and blinding white salt flat of Salar de Uyuni. What more can we say, than that you just have to experience it for yourself. Day 22: It is the end of this tour, but an experience you will not soon forget. Important note: For safety reasons this tour can only be done outside of the raining, so only from April to December. Second note: The price of this unique tour is based on private service during the first 7 days. 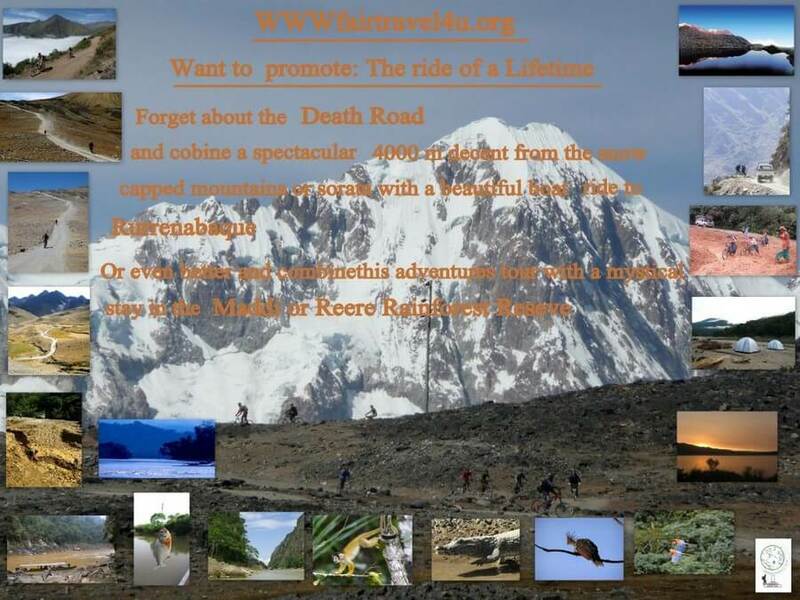 If we manage (and with your permission) to find two more people for the bike tour, the price goes down with 750,- US$ p.p. and if we find 4 more people (so you will be 6 in total), the price goes down with around 800,- US$ p.p. 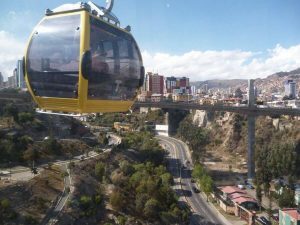 After arriving at the highest international airport in the world in El Alto (4020 m), you go down into the bustling city center of La Paz (about 3800 m altitude). 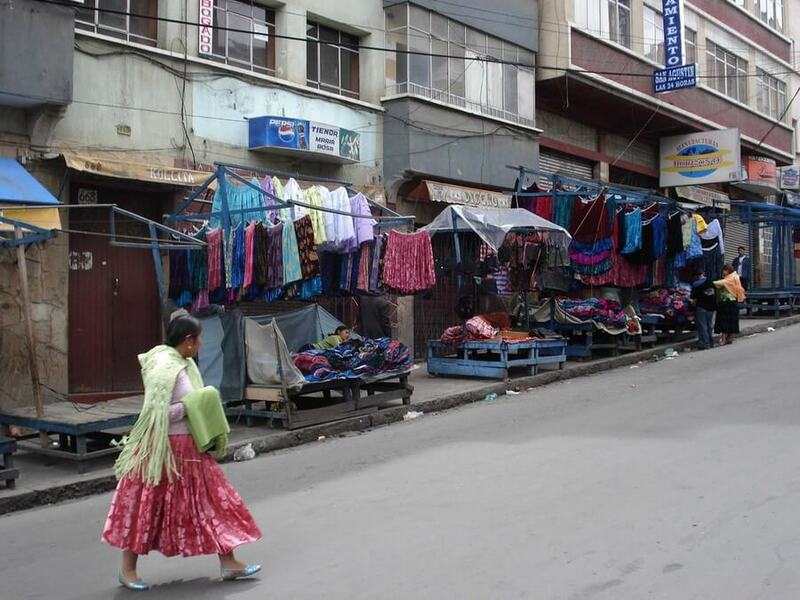 ‘La Paz’ translates as ‘The Peace’, but ‘The Market’ would have been a better name for this busy never sleeping city. This is one of the best places to shop for souvenirs, or maybe even buy an amulet on the mysterious witches market. It is also highly recommended to use the new Teleferico Cable Car, with Amazing views over the valley of La Paz and the surrounding snowcapped Andes Mountains! Note: We have a pre-trip meeting in Sorata at 20:00 Monday night at the Altai Oasis, so if you want to go beforehand to Sorata you can meet the group then. At 9:00 am your guides will meet you at the Oli’s with transport. 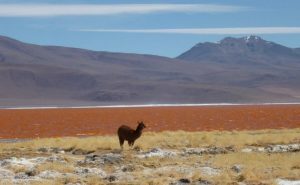 We drive North for about 3 hours through the picturesque Altiplano, with gorgeous peaks in the east and eventually the giant expanses of Lake Titicaca on the west. At this altitude light behaves differently. Colours are sharper crisper and cleaner. 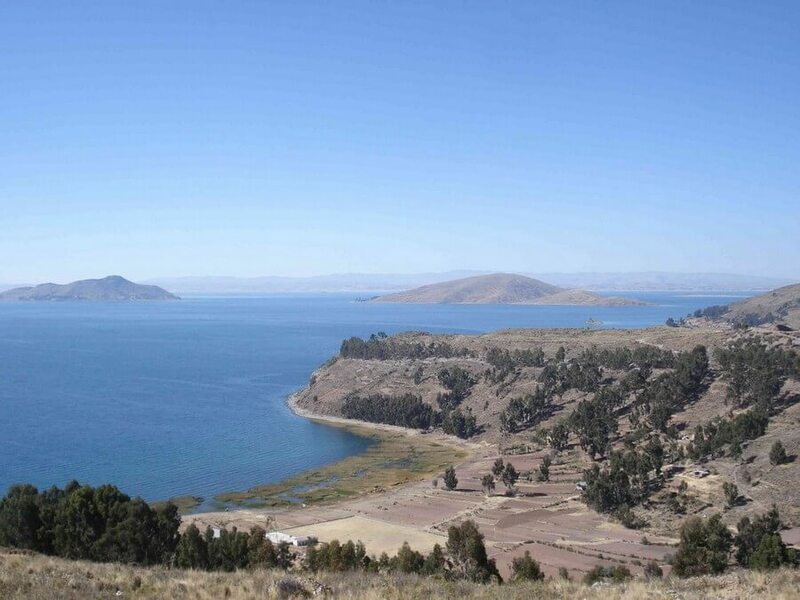 As we pass Titicaca’s graceful shoreline, the sun light glistens on the surface, and waves gently caress the reeded shore a kaleidoscope of colours sparkle. This light passes through the vehicle casting a shadow that dances across the landscape of rich red adobe farm houses, freshly cut fields, crops of quina and ploughed fields waiting ready for the next seeds. Ahead of us is the ridge, a ridge that I usually watch with great anticipation, as it is on the other side of this ridge that tonight’s destination Sorata awaits us. In colonial days, Sorata provided a link to the Alto Beni goldfields and rubber plantations, and a gateway to the Amazon Basin. As we break over the ridge the valley disappears into the vast abyss, it stretches way beyond where the eye can see. We pass a sign Sorata 38km. Our driver shifts down a couple of gears and the engine revs slightly higher and is now our break as we wind our way down. 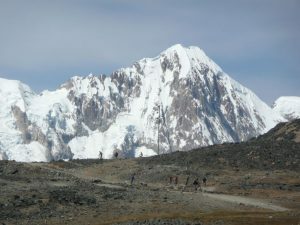 Sorata,located at the base of the mountains Illampu (6,368 m.) and Janq’u Uma (6,427m.) is the gateway for hikers and mountaineers. On arrival to Sorata´s Plaza General Enrique Peñaranda, we will settle and treat ourselves to lunch, after which we will make our way to the Altai Oasis, a family run lodge and retreat with a pool, great food and glorious gardens in a beautiful lush valley. Here you are shown to your cabin where you can have some “me time,” but if you are up for some exploring we will take you on a tour of a large and unique cave system. For dinner, we will all meet at 20:00 h in the Altai Oasis hotel´srestaurant where we will also have an informal debrief, share some time together and get to know each other. It is possible that we also meet some of our additional group members this evening. We meet in the café early at 6.30am for a fresh healthy hearty breakfast. It is a good idea to eat up as we have a big day of riding ahead of us. Once we are loaded up, we set off. 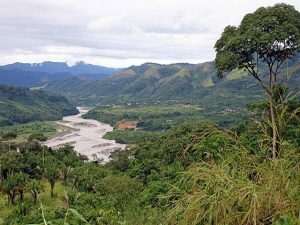 The drive is long and winding, the view is nothing short of spectacular, usually a cloudless clear sky emphasizes the sheer beautiful terrain, it is easy to immerse yourself in the visually voluptuous vistas. Once we reach the summit and beginning of our tour we were once again greeted with an ever-expansive valley that stretch beyond the seeable horizon. “This is where we are heading” as your guide points into the distance. The bikes are unloaded, we all gear up, there is a buzz of excitement. You may see Condors circling above your heads, an amazing way to start this bike ride I must say. 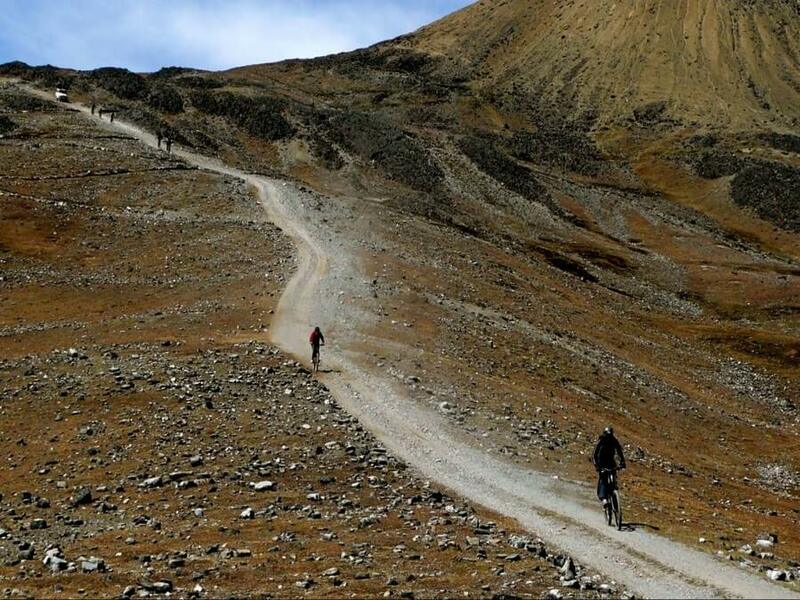 Today’s ride we will drop over 4,000m in 110 kms on a 4×4 “two track” road. It is a huge downhill, one of the biggest in the world, There are some climbs and flat sections. Much of the road is pretty smooth, but there are some rough rocky sections, these do not cause us any real grief. The jeep follows behind the group for support, if anything is too tough you can take a ride in our 4×4 support vehicle. You will get a professional safety debrief from your English speaking guide before we set off single file the road is quite rocky, loose and dusty, but nothing too difficult, we make our way through gold mining villages and just keep heading down and further down, as we descend the valley keeps revealing more of its depth it’s like a slow striptease enticing us further into what seems like a bottomless void. After a couple hours of riding we follow a ridge for a few kilometers with a slight incline but nothing too hard to peddle. Once we break over the top of this ridge once again we see further down the valley and our first glance of the Amazon basin still many kilometers beyond us. From this point we follow a thin walking track into a picturesque petite village where we stop for lunch, local women have been busy preparing us lunch another local specialty soup, an amazing avocado salad sandwich, with local coffee from the towns folk to finish this well deserved nourishment. On our way again the road condition is better than the past and is far quicker to ride. Lower altitude, more oxygen making it far easier to breath, plus it is getting much warmer the closer we draw to the vast basin. 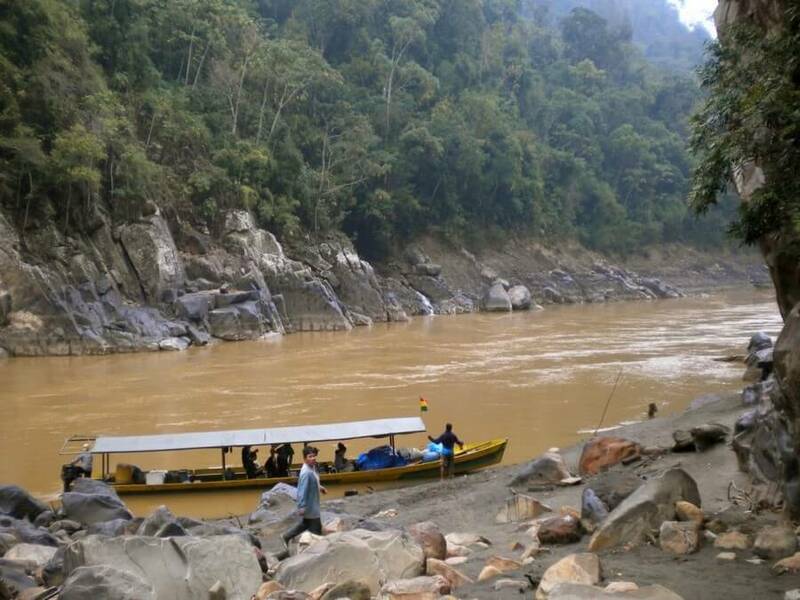 At the bottom of the descent we make our way along a rivers edge past many more gold mining communities. This part of the ride there is more activity, lots of farms, cattle, sheep, and passing traffic. We are making our way towards a bridge, this is where we will reload the bikes and continue in the 4 wheel drives up the difficult incline. 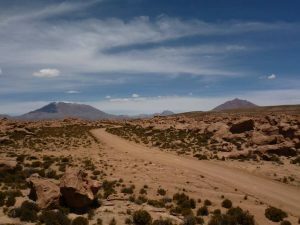 The first two nights we stay in small pueblos in basic hostels. This is very basic accommodation; hot water may or may not be available. We are on the edge of the Amazon basin so some basic services we may have to do without. Lodgings here in Consata are humble, straw beds, cold showers, authentic Bolivia. Our guides prepare dinner, fettuccini pasta with a delicious vegetarian pasta sauce. It certainly hits the spot, a splash of red wine or two or more to quench the thirst. And the mix of wine with such a spectacular day of riding brings on a good sleep. The following morning once again our spirited guides prepare our sustenance for the day, French Toast, homemade chocolate sauce and a variety of fruits, once again local coffee, I have several cups, in fact we can all have several cups. We board the 4x4s for a short hours drive along the rivers edge we climb slightly above the river. The surrounding vegetation is thicker, vines begin to hang lower as we head into regions with thick over hanging canopies. It’s humid and we are beginning to feel the heat of the jungle. It at this point we stop and unload the bikes to start today’s ride. Everyone bursts out of the 4x4s and race for a place to pee, the coffee worked a treat on everyone and we all hurried to the bushes! Today’s ride is somewhat different to the last, from this point on we are in the belly of the jungle, no impressive majestic views just long stretches of green broken by impressive waterfalls, creeks and glimpses of the river we are following. We climb some we ride down some we climb some more and ride down some more. It’s hot humid and challenging. And as we wind our way through this stunning ecosystem we take time to breath it all in. We stop at one of the many mining towns where a school is out on a break. The children race over and investigate the sweaty foreigners. Smiling they entice us into a game of football (soccer). I’m not good at this so I appoint myself goal keeper, stupid move, they have 6 soccer balls I’m hit with a barrage, one after another. This is far more demanding than the bike ride. Once we are all together again we head on our way just a couple of hours more and we reach our final destination Mapiri. A gold mining center and trading hub for the region. The river is busy with the sound of longboats coming in and out trading supplies for river side villages. One of our guides loads up and leaves us to our motorized dugout canoe river voyage, we wave him goodbye as he returns to La Paz. After a well needed shower we head into town for dinner, rice, river fish, and vegetables. The food was unexpectedly extraordinarily good! After dinner we made our way back to our place of stay that had an open roof top we were able to sit, lap up some beers, watch the sun set and star gaze at an astonishingly clear lustrous night sky. Mapiri to find that the longboat is waiting, packed with all our gear, we board and head off down the river. We have 3 days of this, a total of twelve hours on the boat. Side hikes and two nights camping in the jungles. Our cook makes great food (vegetarian options for all meals) and we provide the gear for two nights camping along the river. cocinera is cooking dinner. We return to the camp for food, campfire chatter, and sleep. (We are provided tents, sleeping bags and pads). We spend the last night in Madidi National Park. entering the protected area of Madidi national park. where we arrive around 2-3pm. Here the trip ends. The guide will call ahead to the Oriental hotel to inform them of our arrival. After freshening up you can either make your way to Moskkito Bar for games of pool or just relax at the hotel. This night we all come together for a great meal and wine. For those interested in a party, Moskkito Bar is a great place to have some final fun with the crew given that this night is our last night together. You can then make your way back to the Oriental: You have late checkout, great WIFI and breakfast is included! For the next 6 days you will challenge yourself and the spirits of the Amazon Rainforest. We start with a boat trip over the Beni river. Our first visit is to a community dedicated to the development of Chichicohoney from sugar cane. You can taste the delicious juice of cane and learn a little about the life of the community. 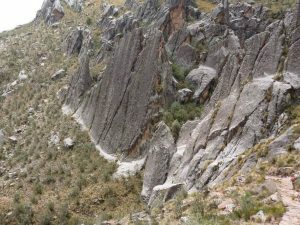 During the boat trip on the rivers Beni and Tuichi you will enjoy incomparable landscapes such as the Canyon of the bullet. As soon as we reach the “Mashaquipe” hostel you will receive a refreshing welcome juice and lunch will be served. We will wake up very early (05: 00) to go out for a walk in the surrounding of the hostel. 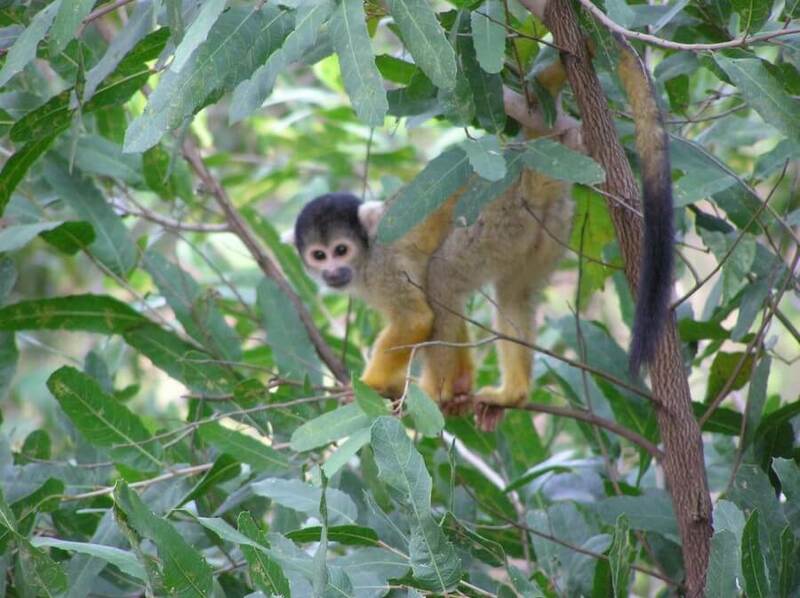 You will enjoy the noisy concert of howler monkeys, and a variety of birds that welcome the new day. After breakfast, you can join an activity during which you will learn more about the ‘Tacana culture’. After some explanations from the guide you can try for yourself to manufacture crafts, or practicing marksmanship with the bow and traditional arrows. In the afternoon, after lunch, we will leave to visit an indigenous family who lives in the jungle. They will explain us more about their culture and how they practice their agriculture. You can also participate with them in their daily activities, for example by helping peeling rice with a mortero (tacu). On our way back it is possible to see herons, martínez fishermen or even some Capybaras walking on the banks of the Tuichi River. 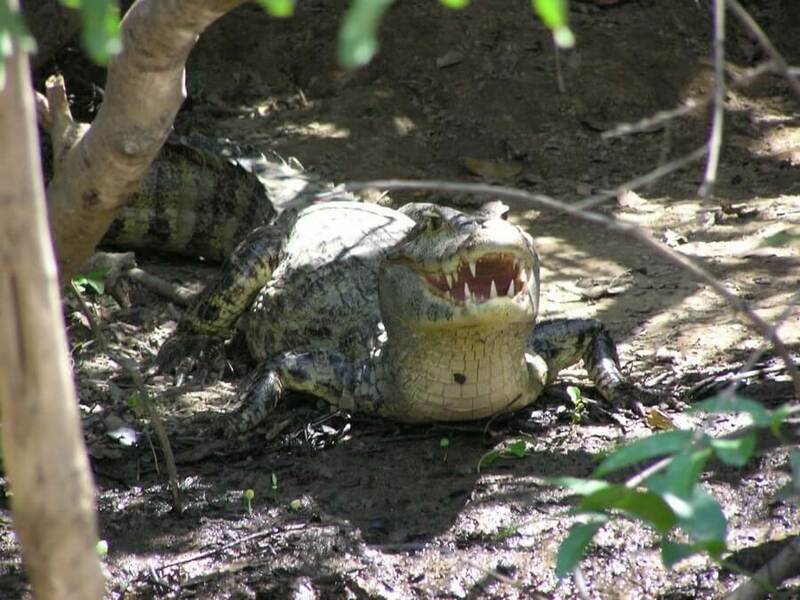 After dinner if you still have energy you can join a short night walk to observe eyes of caimans, lizards, frogs, snakes and others animals with the light of a lantern/ flashlight. After a good breakfast we take camping equipment with us and start hiking into the depths of the forest. Tonight we will spend the night in a tent or just under a mosquito net. 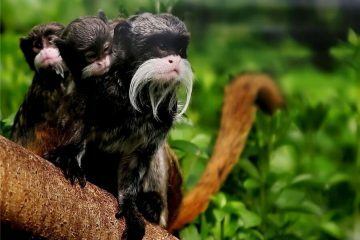 This activity is very interesting because you will have a more intimate contact with nature and can observe animals like: spider monkeys, howler monkeys, a variety of birds, etc. 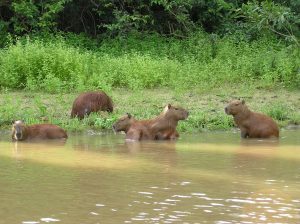 Before we go to sleep, you can make short walk with great potential for spotting giant armadillos, snakes and tapirs. While you are lying in your tent it is not uncommon to hear the Growl from a jaguar or puma, coming from the depths of the mysterious Amazon Jungle! A nutritious breakfast will give us the energy to hike deeper into the forest, where agile monkeys live in complete harmony with nature. 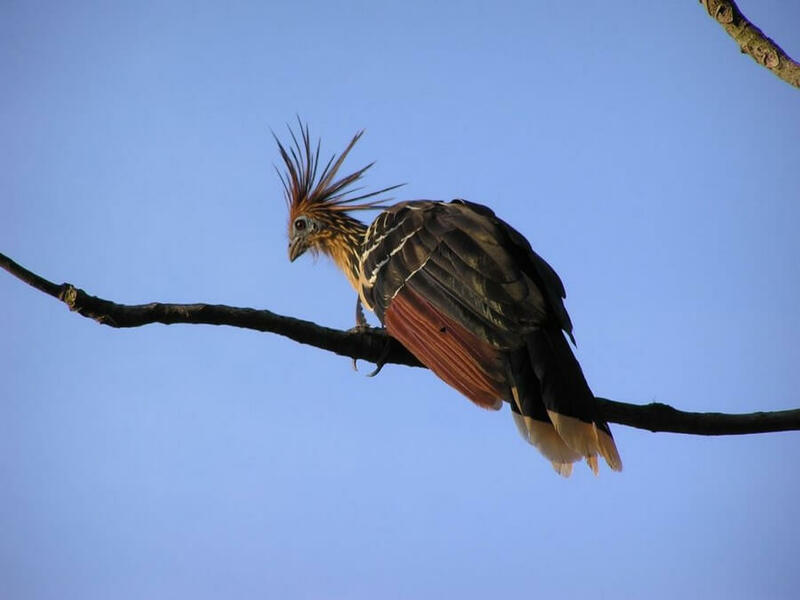 On our walk it is likely to cross our path with large groups of wild pigs and for sure we will see a variety of birds such as toucans and oropendulas. After lunch we pick up our backpacks again to continue walking towards our shelter for the night “the arenalito”. We will arrive here late afternoon. 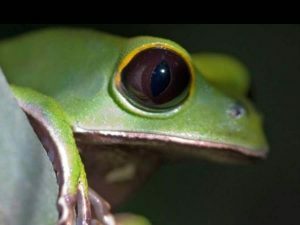 During the night, depending on the weather, it is very likely to be able to observe mammals such as deers, armadillos, tapirs and the eyes of many reptiles. After breakfast, we will continue our journey through the depths of the jungle of Madidi accompanied by the ‘music of the jungle’. This music consists of different melodies from screaming monkeys, singing birds, calling frogs and insects as the bustling cicada. 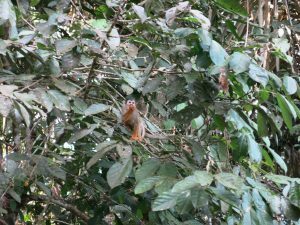 On our way we have breaks to appreciate this biodiversity and learn about the jungle, its inhabitants and the many sounds. 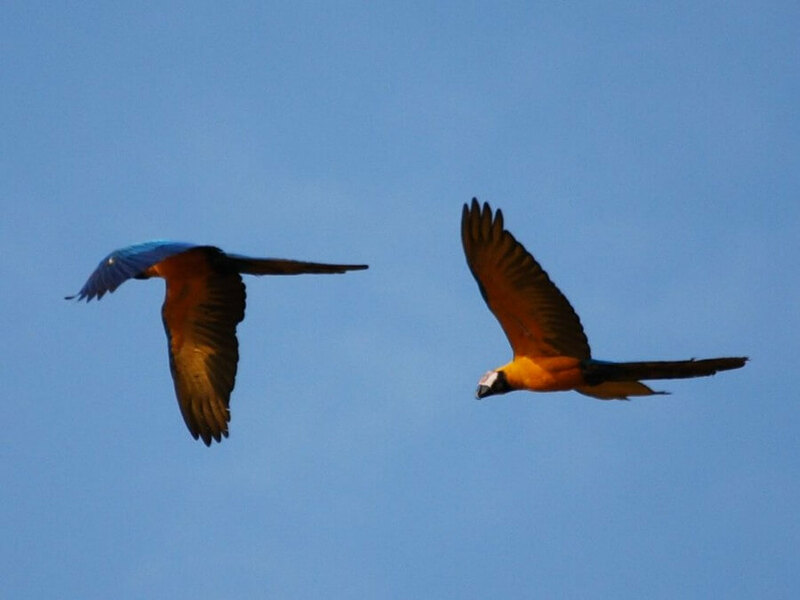 After breakfast we will walk toward the “Cliff of the parabas,” place of nesting and feeding of parabas, parrots and parakeets. 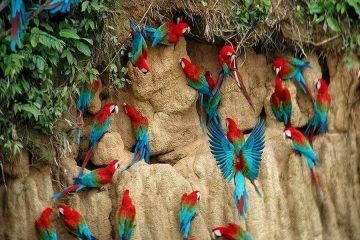 This is one of the best places to observe these colorful and bustling birds. 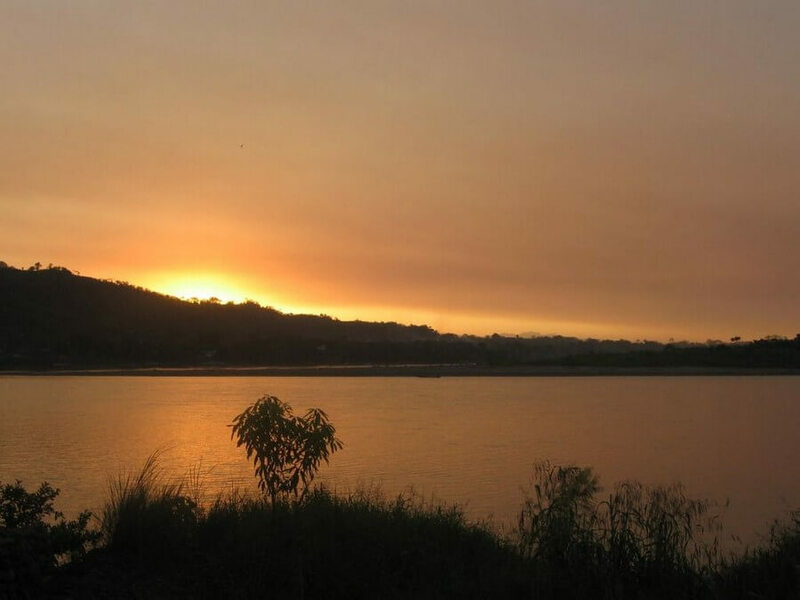 You can also enjoy the beautiful landscape of the Amazon rainforest. 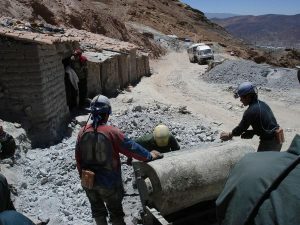 While finishing the trip we can choose to build a “callapo”. This type of raft is the river transport for the indigenous peoples of the Amazon and you can use it to return to the hostel. After lunch we should start our journey back to Rurrenabaque. For who doesn’t want to use the raft it is of course possible to use our comfortable canoe/ boat. We arrive in Rurrenabaque around 16:00 hour. 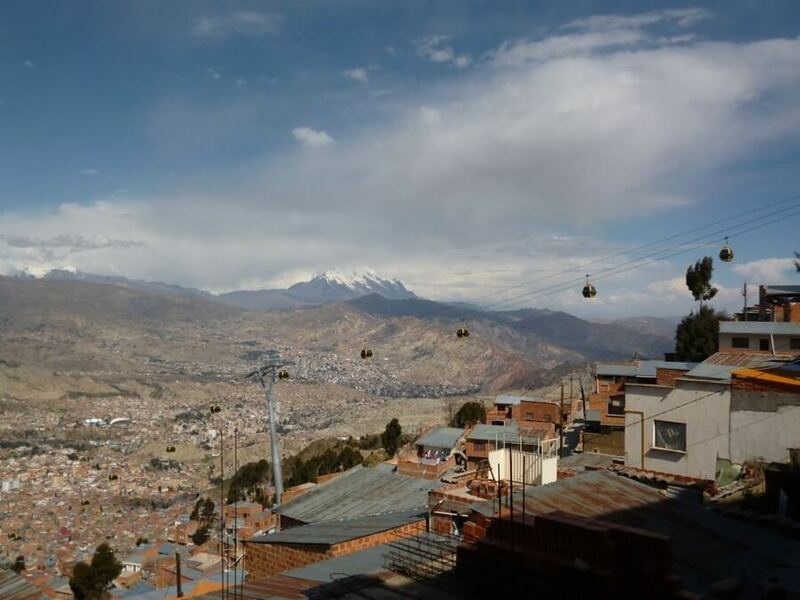 In the morning we fly to the official capital of Bolivia, Sucre (2790 m). This city is named after the important General Antonio José de Sucre, who fought together with Simon Bolivar in the Independence War against Spain. 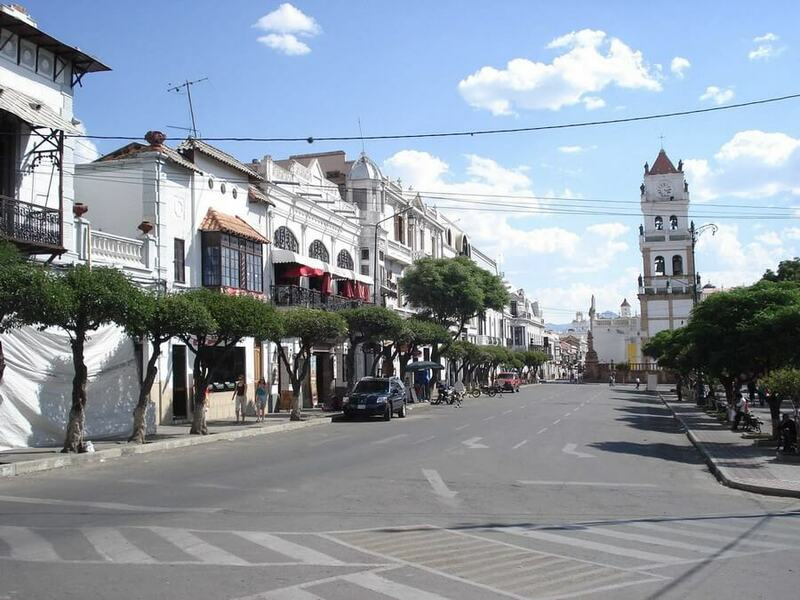 Today you can see for yourself why the white colonial town of Sucre is often called the most beautiful city of Bolivia. 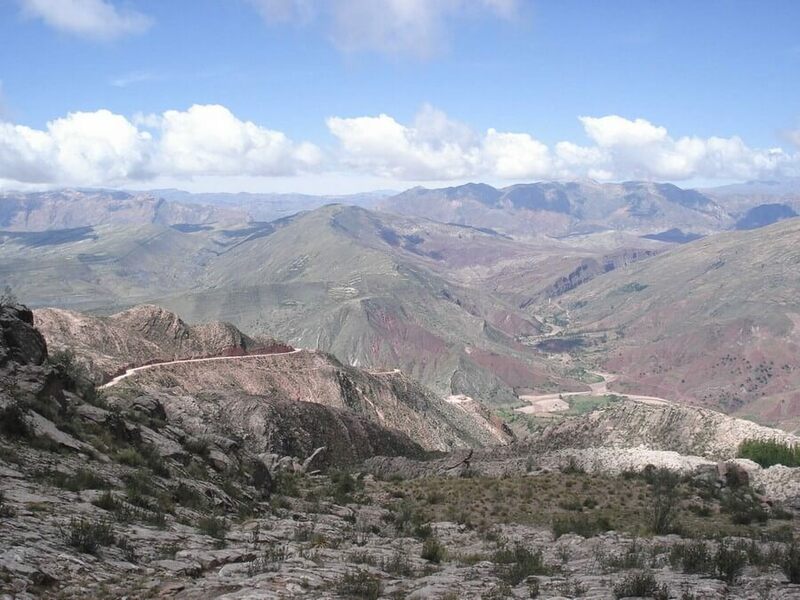 A recommendable option for today is to join a spectacular hike in the surroundings of Sucre. This hike is called the Full Day Rockpaintings Hike. The hiking starts at about an hour from Sucre, passing the chapel of Chataquila at 3.665m. We follow the rim of theRockpaintings Hike in Sucre, Bolivia “Cordillera de los Frailes”. Other options for today include: visit one of the several museums, join another hike, visit the ancient old fossils of dinosaurs foot prints, visit the cemetery and/or (on Sundays) the indigenous market of Tarabuco. In the afternoon you take a bus ride of about 3.5 hours (169 km) to Potosi (4100 m). 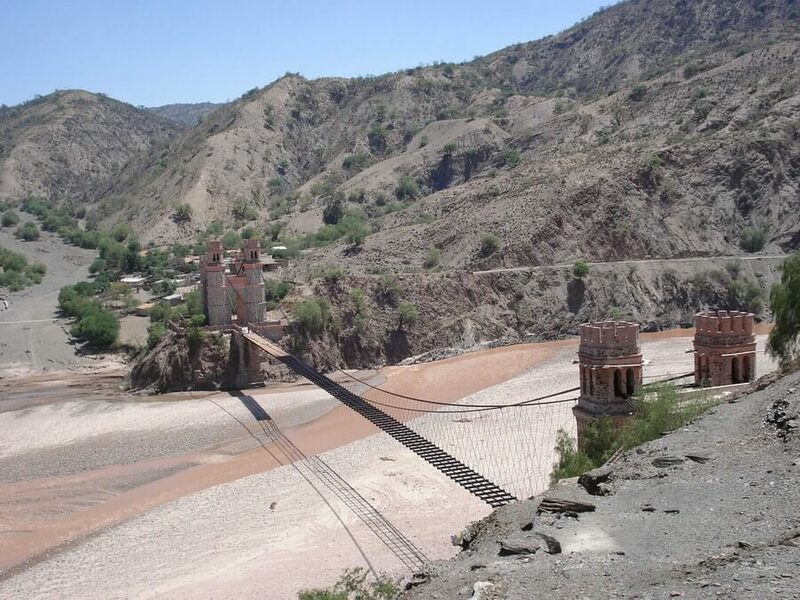 Due to its silver mine Potosi ones belonged to one of the biggest and richest cities in the world. It was over this silver that the Dutch buccaneer Piet Hein gained its biggest victory over the Spanish fleet. 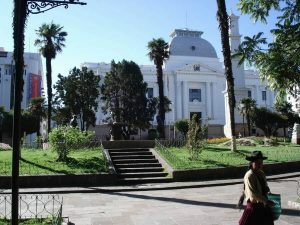 Together with the fact that Casa de la Moneda produced the first coins of the American continent, it describes Potosi’s important part in History. For the morning we have included a very interesting tour into the famous pitch black silver mine Cerro Rico. 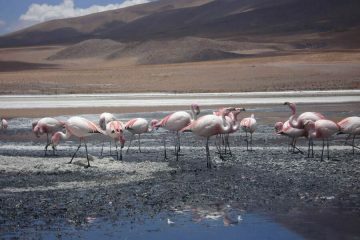 In the afternoon you will enjoy a very beautiful 210 km ride in a local bus from Potosi to the ‘army town’ Uyuni (3600 m). It takes about 5 hours. Tonight you sleep next to the army base in a hotel with the best pizza restaurant of Bolivia. 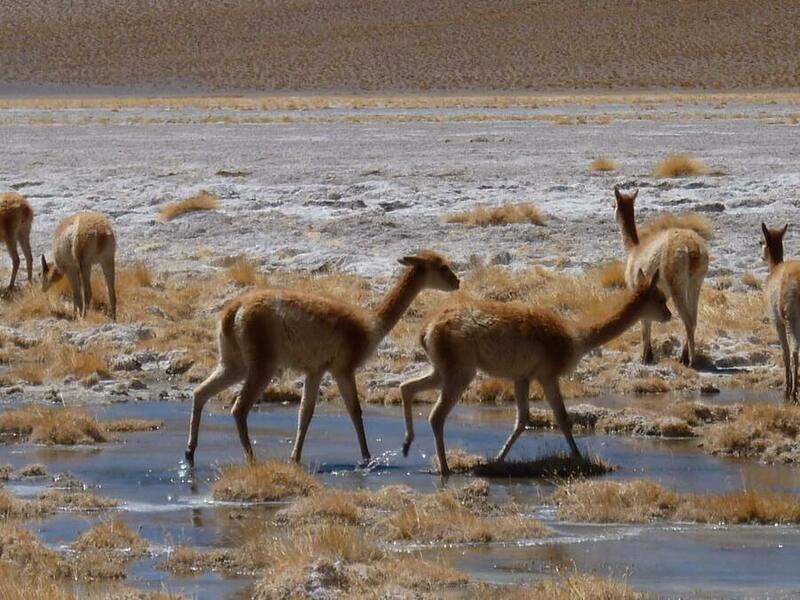 Today you will join a tour in shared service over the seemingly endless white salt flat of Salar de Uyuni. The villagers from the nearby village of Colchani still harvest this salt to sell for consumption (it taste good! ), but for us it is more interesting to use this flat to make spectacular and even mind-blowing ‘trick pictures’! The next stop is a hotel in the middle of no-where, made out of salt blocks and paramo grass. As if this isn’t special enough, you will even visit an island of coral in the middle of the salt desert, where huge cacti grow. Truly an amazing location and a surrealistic experience! 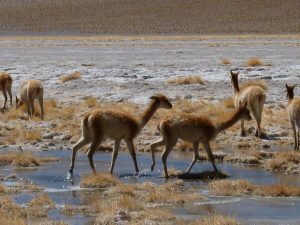 Day two of the adventures Salar Tour includes seeing: many very scenic landscapes, special rock formations, vicuñas, a smoking volcano, several lakes, including the famous Laguna Colorada and even flamingos! 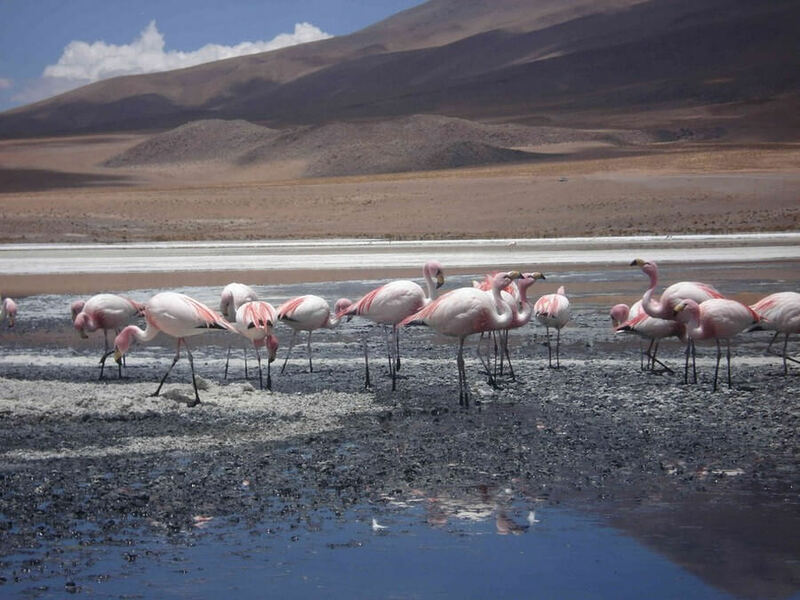 Tonight we go to sleep very early in simple barracks close to Laguna Colorada, a lake at 4200m altitude that is colored with minerals and flamingos! 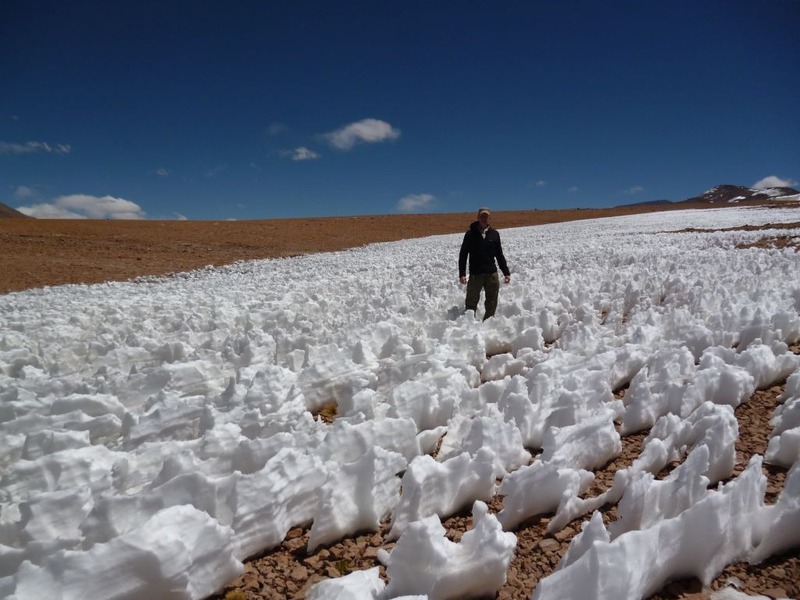 Optional for today: To visit Chacaltaya (5450 m), ones the highest ski-piste in the world. The ski-piste is closed now, but the views of the surroundings are beautiful! 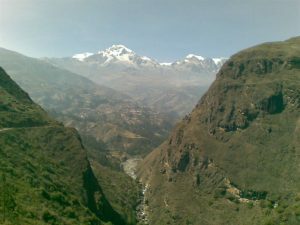 Or to bring a visit to the pre-Inca site of Tiawanaku. It is said that the Inca’s adopted part of their building style from the Tiawanaku culture. But the culture is most known for its impressive farming methods. 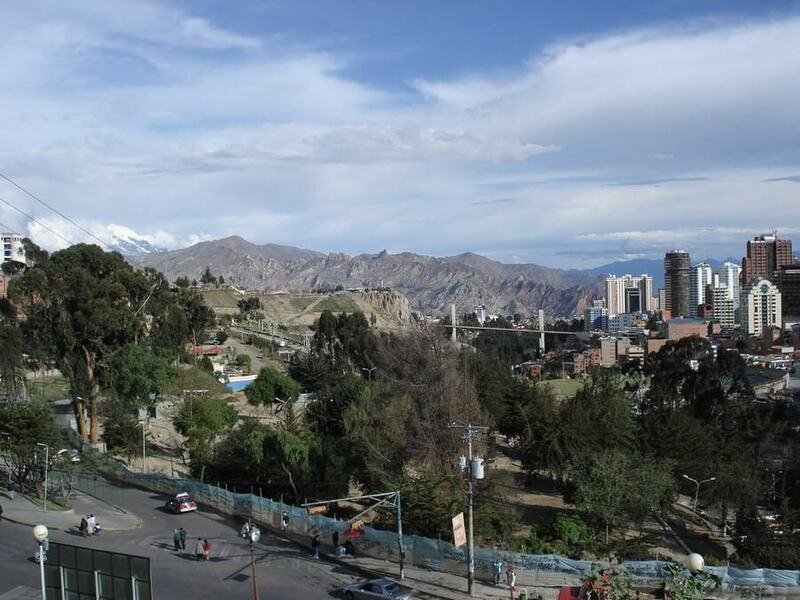 Overnight + breakfast in La Paz. Today it is the end of this tour, but you gained a new experience you will not soon forget. 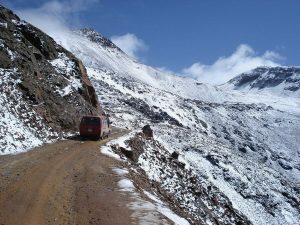 Optional: You can extend this journey with a 2 or 3 days tour to climb the Huayna Potosi Mountain with an altitude of 6088 m! The price of this tour is based on a min. 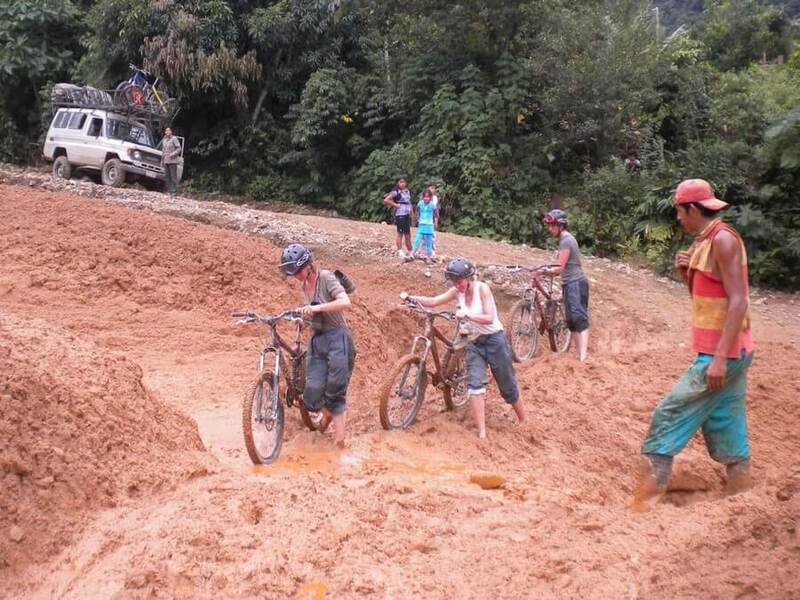 participation of 6 persons during the 6-days “Bike and River Tour” from Sorate to Rurrenabaque. If, for any reason, you are the only two participants during this part of the tour, the tour price will be 3350 US$ p.p. If there are in total only 4 persons who sign up for the “Ride and River Tour”, the final tour price will be 2495 US$ p.p. When you sign up for this tour and we already have more participants, we will automatically give you a lower price. Also, if you sign up and more participants sign up after you, we will bring the price down. Note: the final price will never go down below 2350 US$ p.p. For safety reasons this tour can only be done outside of the raining, so only from April 5 until the 13th of December, 2016. – A good comfortable backpack! – Something to protect you camera equipment from the humidity and rain.